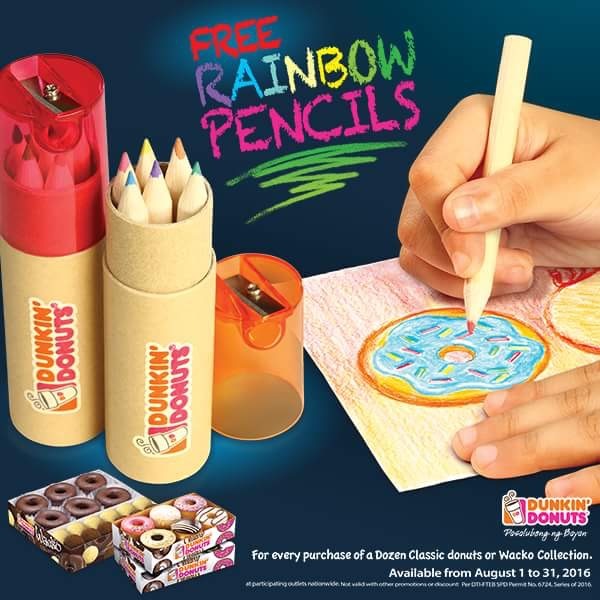 Mommies, get your kiddos a FREE set of colored pencils for every purchase of a dozen of Classic Donuts or Wacko Collection from Dunkin’ Donuts! Promo is until August 31, 2016 only so grab your box of Dunkin’ Donuts now before it’s too late! This entry was posted in Treats & Sale Alerts and tagged Dunkin Donuts, Promo, Treats.